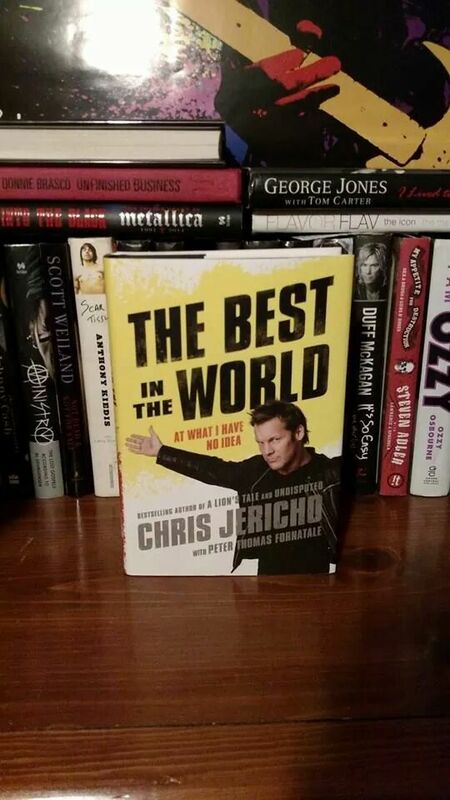 I have never been a big fan of wrestling, but i came across this book at Barnes and Noble for 50% off and bonus, it was a signed copy as well. I wont post a looong review because this is a long book and i just want to touch on some of the main stories. Jericho is an awesome story teller! You will not be bored with this book and won’t want to put it down. There are so many behind the scenes stories about the WWE and his travels around the world, both with the WWE and his band Fozzy. Throughtout the book i was laughing the whole way. I wont spoil it for you, but his story in the nightclub about meeting Ne-yo and “Tee-yo” had me rolling! You’ll just have to get the book to read about those stories. Jericho gives the complete truth about his wrestling career and his comeback to WWE. He talks about his feud in the ring with Shawn Michaels and some of the other big names in the wrestling industry like HHH, John Cena, The Great Khali, and many many others. Thjs was such a fun read that i got Jericho’s two previous books “A Lion’s Tale” and “Undisputed” and i plan to review those soon in the near future, so stay on the look for those reviews!